Isabella, Marchioness of Ailsa (d 1945), née MacMaster. Sitter: Isabella, Marchioness of Ailsa (d 1945), nénée MacMaster. Biog: Only daughter of Hugh MacMaster, of Kausaui, N.W.P. ; m. (1891), as his 2nd wife, Archibald Kennedy, 3rd Marquis of Ailsa. Costume: Coronation robes: "...with bows of gold on the kirtle, over a skirt of gold and white brocade in an exquisite rocaille design" (see: The Court Journal, 16 August 1902, p 13b). 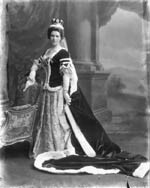 Costume Supplier: Mesdames Goddard and Southey, 14, Harrington Road, South Kensington, London, S.W. Biog: Burke's Peerage; The Times, c. 9 December 1945 [ck]. 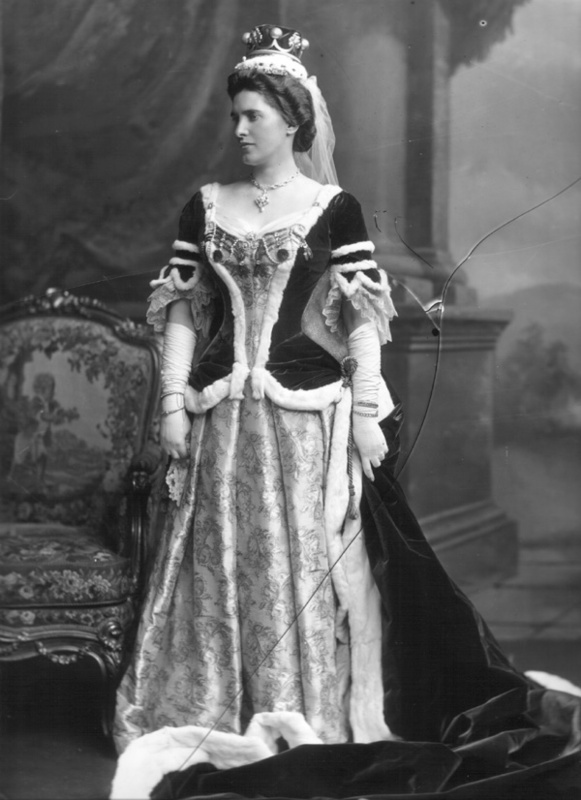 Costume: The Court Journal, 16 August 1902, p 13b; Madame, 16 August 1902, p 326b. Costume Supplier: The Court Journal, 16 August 1902, p 13b.